When researching carpet styles and selections, Berber carpet tends to come up frequently. It has become quite popular recently, and for good reason. It is highly durable with a wide range of uses that makes it stand up well to heavy use and traffic. Berber carpet is loop pile carpet that is light in color with darker specks throughout. 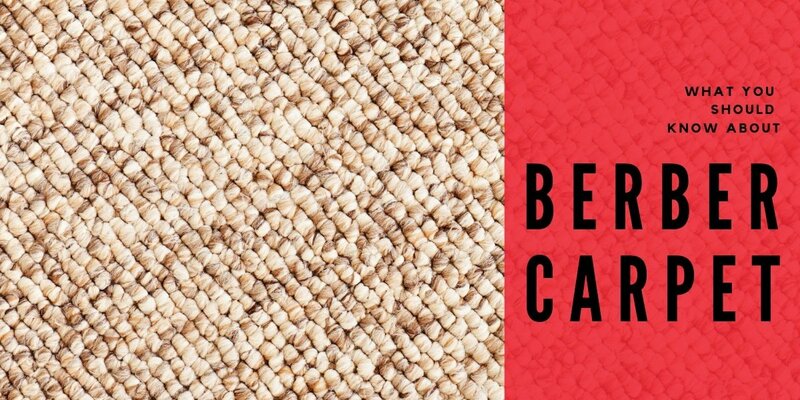 Recently, the term Berber has been expanded to include all looped carpet regardless of color. One of the appeals to Berber carpet is that it is incredibly durable because of its low pile and tight loops. This makes it great in areas where there will be high traffic, like hallways and stairs. It is also great for commercial offices. The tight weave of the carpet fibers in Berber carpet makes it easy to clean spills and makes it harder to stain. The specks also help to conceal any stains that potentially may happen, making Berber carpet look newer much longer. While Berber carpet is very durable and holds up well to heavy foot traffic, snagging is a concern. Because the carpet fibers are looped it is possible for them to get caught and snagged on things. This is especially important to remember if you have pets. Pet nails need to stay trimmed, otherwise, their nails can get stuck in the fibers, not only damaging the carpet but also potentially hurting your pet. Beater bars in vacuums should also be avoided for the same reason. It is possible that a frayed loop can get caught in the bar and cause damage to the carpet. Berber carpet is a great carpet for heavy traffic areas around your home and in commercial areas. If you have more questions, give us a call or stop by the store to see how Carpet Depot can help find you the perfect flooring to fit your lifestyle, your home, and your budget.